Feeling very French school girl today with my monochrome outfit, touch of blue, collared top and woollen jumper. Add a beret and I’m sorted. 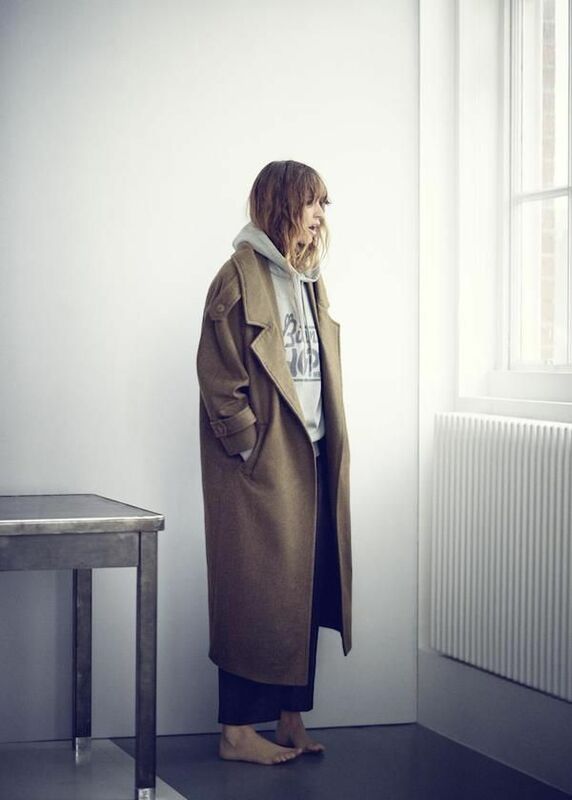 Although I opted for the relaxed, breezy frenchie hair instead – constantly inspired by Caroline de Maigret. She is the poster girl for casual, refined coolness. Made all the more possible by her wardrobe of Celine, Chanel and Balmain, as typical French goddesses do. Each outfit of the day would be so easily sorted with a selection like that, no such thing as a dull moment or uninspired ensemble. Apparently I have a touch of French blood in me, going way way back, and I hold on to that potential heritage with my all (I’ve also been told I have a very “french” forehead, whatever that means – and I will never contest that). One day I might wake up oozing half the coolness of this unicorn, that is the dream. Meanwhile I am waiting for my blood to prosper that line, get it running through every part of my body. To kick it off I might have to start reading How to be Parisian. Previous Post san franciscan for a day 2.0. Next Post manspiration :: j.crew.